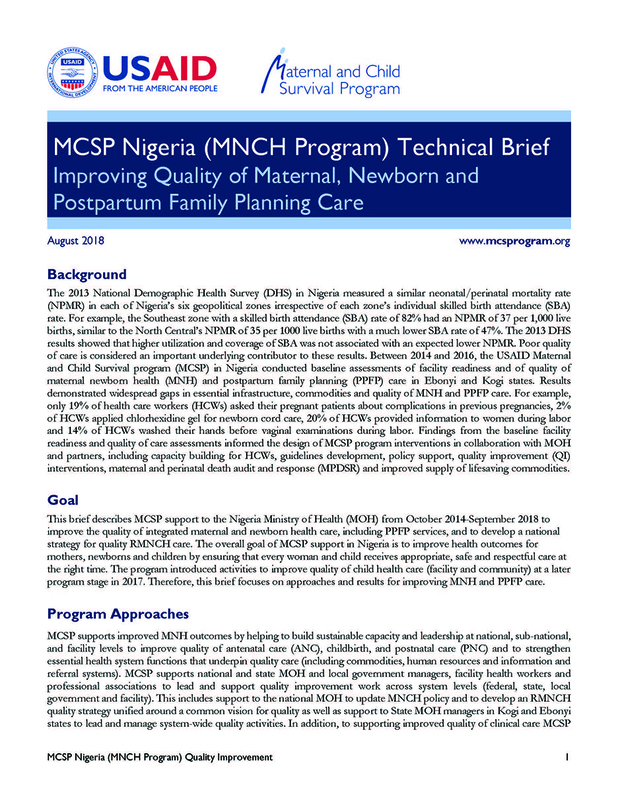 This brief describes MCSP support to the Nigeria Ministry of Health (MOH) from October 2014-September 2018 to improve the quality of integrated maternal and newborn health care, including PPFP services, and to develop a national strategy for quality RMNCH care. 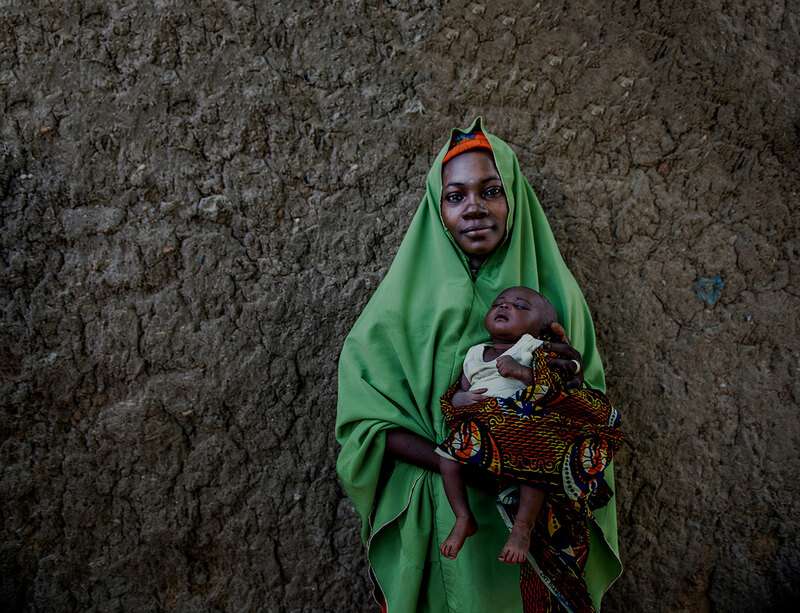 The overall goal of MCSP support in Nigeria is to improve health outcomes for mothers, newborns and children by ensuring that every woman and child receives appropriate, safe and respectful care at the right time. The program introduced activities to improve quality of child health care (facility and community) at a later program stage in 2017. Therefore, this brief focuses on approaches and results for improving MNH and PPFP care.